Death of the Assembly Line The First Industrial Revolution was characterized by cotton mills, steam engines, and the development of iron-making techniques. The transition away from an agricultural-based economy and towards machine-based manufacturing had a profound global impact on society and urban growth. In the late 1800’s, a Second Revolution took place – workers gathered along assembly lines to mass produce goods with uniformity and more importantly cost savings for the manufacturer. Over time these processes became standards as competitive edge became tied to the cost of labor. Industry moved overseas to take advantage of lower wages and ultimately our economy suffered in the midst of diminishing jobs. We are now standing on the threshold of a Third Industrial Revolution, characterized by agility. The focus is moving back to the consumer – and jobs are moving back to the US. No longer will manufacturers be forced to mass produce goods in order to recoup development costs. Additive manufacturing, better known as 3D printing, will enable the cost-effective manufacturing of products in small batches, tailored to the needs of the end user. The future of innovation is in the hands of small businesses intimately connected with their customers. “Our decision to move the manufacturing process from China to the US is about more than just dedication to our economy. It’s about reducing our carbon footprint. It’s about reducing our response time. It’s about being close to the very people we serve,” explains Jeff Bollengier of CaliBowl®, a California-based manufacturer. Recovering from one of the worst economic declines in recent history will be continue to be a tedious process, however the investments into our own workforce and innovative technologies will put America back on top and pay dividends for decades to come. Kraftwurx is a community of artists, engineers, inventors, makers and creative people who love 3D printing. Create your account , make friends, share knowledge and ideas, organize events in your area and learn about 3D Printing and 3D printing Technology. Our community is made to help educate you about 3D printing and turn your creations into products through he magic of 3D model printing. If you have a printer, you can tap into our community and offer to 3D print products for community members and retail clients worldwide. No printer? No problem, Kraftwrux has more than 300 3D printing facilities worldwide in our network ready to print your product in more than 50 3D printing materials. T here are really 5 ways to use Digital Reality's services. First we offer a marketplace and online community for you to buy and sell truly unique products. We've designed our entire site around giving you the ability to get involved not only in design but also in communicating with others to help us all develop new ways to use our services. First and foremost, we give you the ability to upload and sell your ideas. 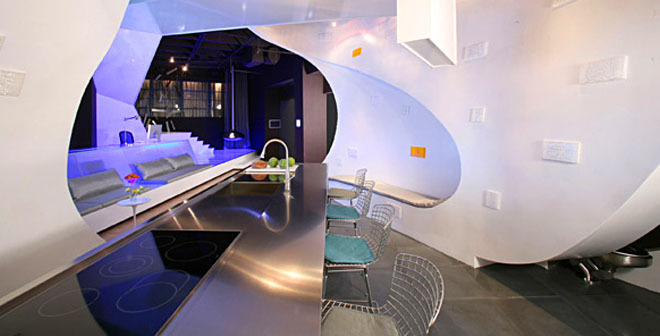 Design it in 3D and sell it online. If you don;t know how to design, you can team up with a designer and you will both own the idea and product and split profits for sales on that item. Third, we offer a mail-in service that allows you to send us broken parts and we can recreate them for you. Bets of all, if its valuable, you can have us store the model for sale and let you earn money every time it sells to someone else! We also offer the ability for bureaus to sign up and make our products (distributed manufacturing) and finally, we provide the community with support and education. One of the coolest things we have in store for the community is our bureau sign-up and bid system. So you have a 3D printer or a bureau? Well increase your revenue by creating an account and bidding to produce products available for sale in our community. Its the distributed manufacturing portion of our Made-To-Order Digital Manufacturing Enterprise patent. Browse and bid by category, produce what you are best at and provide a service to our customers, make money and help grow the market for rapid prototyping and direct digital manufacturing in the most amazing ways. Turning ideas into products is super easy. That's why we've not only enabled pro-sumers (consumers with 3D CAD design talent) along with consumer methods to design products. Using the co-creator you can turn your ideas reality by teaming up with someone that can help you design your product for manufacturing using our technology. Our vision is really to make the technology transparent to the end user. You don't really care about how we do what we do, just that you can do cool things here you could never do elsewhere. That's our goal and our promise. To empower you, the consumer to get involved in designing your very own products that are as unique as you are. We truly bring low-cost custom products to market. What comes next will blow your mind. Kraftwurx created a new idea and brought it to life. We're the leading edge in the next Industrial revolution - democratized manufacturing where products are made directly from 3D models. Learn about our ideas and our people. We're passionate about one thing, giving people the creative freedom they have always had and allowing them to share it with the world. According to Wikipedia, during the 2000s, Über became known as a synonym for super due to games and gamers excessively using the word. 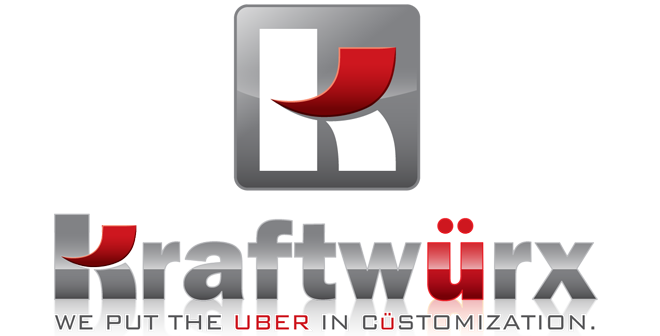 We chose Kraftwürx.com because we wanted to convey that Kraftwürx, like the word Über (which translates to over, above, beyond) is the best or ultimate Customization Site on the internet. Kraftwürx was born out of conversations in 2003-2004. We initially talked about a way to make truly custom class rings and allow students to design their own products in 3D, like playing a video game. We were so narrow minded. In 2006 we filed a patent called Made-To-Order Digital Manufacturing Enterprise. Its a fancy way of saying we had the idea to combine 3D models, 3D printing, the internet and some fancy software to automate how and where products get made, just like in a traditional factory but more like the Matrix movie where everything happens virtually! We knew we were on to something and we may not have been first to market but Kraftwurxs IS the next generation of made-to-Order products designed by you! We've gone to great pains to make your shopping experience, your selling experience, your manufacturing experience and your product experience as enjoyable as possible. Some of the things we offer include a way to send us your item even broken items and we can reproduce it for you. We can also add your item to our database and every time it sells, you get paid! Another great feature is co-create. If you don't know how to design something, ask for help and team-up with a designer to turn your idea into a 3D product and sell it to the world. Share, create, sell...we like to call it Infinite Possibilities! We thought it was a great idea and we hope you will too!